You don’t need to part with a lot of cash to get a capable phone, and the current crop of midrange phones is evidence of that. The newest kids on the block come from Sony’s Xperia family, and the Xperia XA2 (alongside the XA2 Ultra) represents Sony’s best entry in the midrange market. There’s a lot of great competition out there, however, including the HTC U11 Life, which brings many of the HTC U11‘s great features to a midrange phone. So which is better? We took a look to find out. You won’t be getting flagship-level speed out of either of these phones, but thanks to the Snapdragon 630 processors in both the HTC U11 Life and the Xperia XA2, you can expect solid, steady performance. There might be small differences between the two devices, but we expect overall performance to be similar regardless of which phone you pick. It’s all even on the RAM and storage front as well, with both phones offering 32GB of onboard storage, which can be expanded via MicroSD card, and 3GB of RAM. However, if you’re really desperate for additional storage and RAM, you can try and get the international version of the HTC U11 Life that comes with 64GB of storage and 4GB of RAM. However, be warned that this model does not run HTC’s Sense UI, but Android One instead. Thankfully, RAM really isn’t everything when it comes to smartphone performance, so unless you really want the additional onboard storage, you needn’t feel pressured into an upgrade. In terms of audio, both phones have bottom-firing speakers and Bluetooth 5.0 — something that some flagship phones lack — but only the Xperia XA2 has a 3.5mm headphone jack. 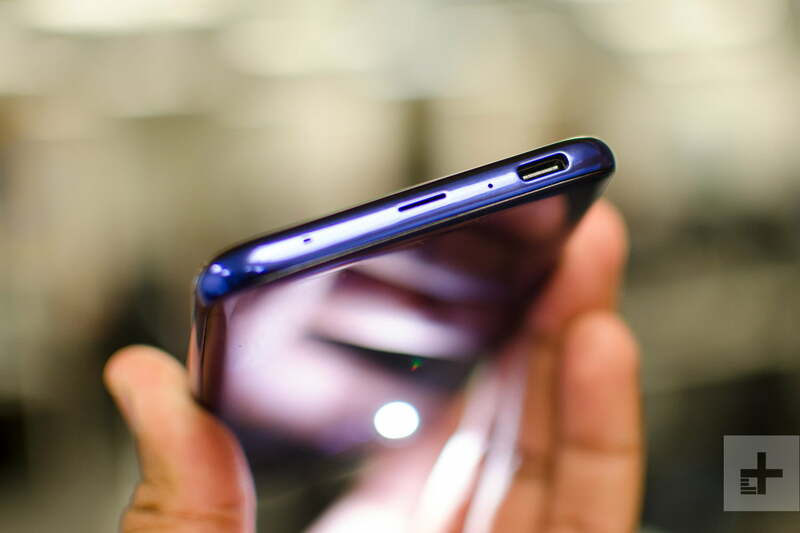 People seem to be slowly accepting the gradual phasing out of the venerable headphone port, but an additional feature is just that, and it gives the XA2 an edge. The two phones are neck-and-neck on specs, and we’re not willing to let the international version of the HTC U11 Life win it many points — it’s basically a different phone. For that reason, the Xperia XA2 wins — by a headphone jack. 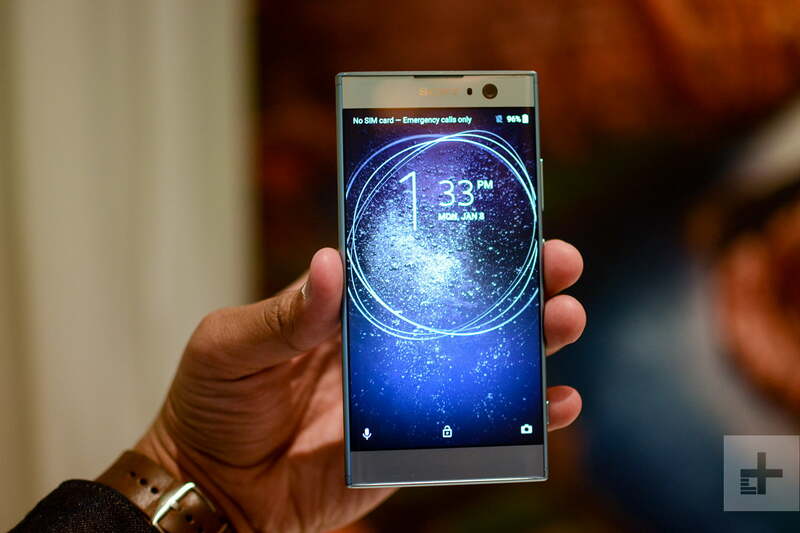 Sony’s design ethos for the Xperia lineup has stayed much the same for the last few years, so the rumor that it was planning a style refresh was certainly a welcome one — unfortunately, that hasn’t really materialized with the Xperia XA2. Don’t get us wrong, the bezels at the sides of the screen and at the top and bottom have shrunk compared to last year’s phones, but the overall look is still much the same as the Omnibalance we’ve seen since 2013. But while the look may be disappointing, the rest of the phone is solid. The XA2 uses a mostly metal construction with a polycarbonate back (now with a working fingerprint sensor!) 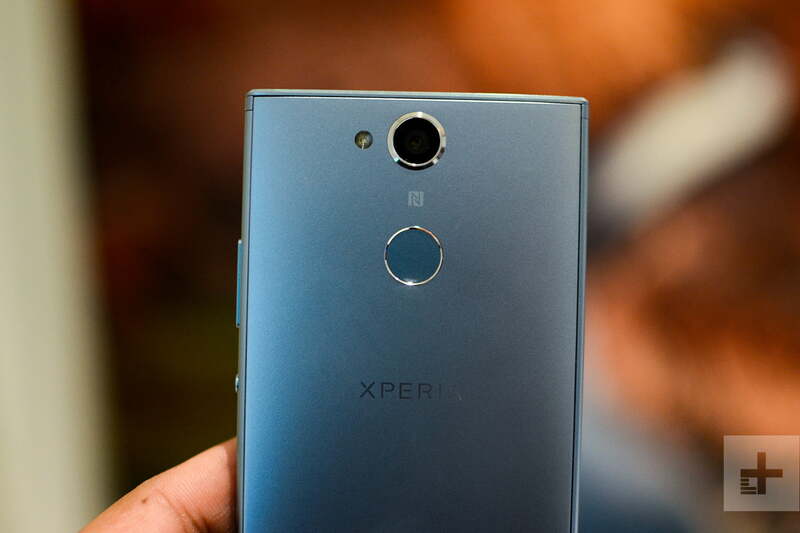 that feels solid and premium, and fans of the Xperia look will still find a lot to love here. The HTC U11 Life couldn’t be more different from the XA2. Where the Xperia phone favors hard lines, the HTC phone curves softly. Where the XA2 is solid, the U11 Life is bright and glamorous. Though the U11 Life does suffer a little from its cheaper-feeling plastic body, it’s still a great-looking phone, with a bright acrylic material that apes the good looks of its older brother, the HTC U11. However, like the XA2, the HTC U11 Life does look a little dated, with fairly chunky bezels. Moving on to the screen, there are even more similarities. Both phones are rocking 5.2-inch displays running a 1,920 x 1,080-pixel resolution, scoring them both a pixels-per-inch measurement of 424. What does that mean? They both have sharp and clear displays — better than the same resolution stretched across a 6-inch display, as in the XA2 Ultra. There’s little to differentiate these two phones here, though the XA2 is the slightly smaller of the two, which is worth remembering if you’re a fan of a smaller smartphone. You’re looking at a similarly durable outer shell, and while the metal parts of the Xperia XA2 give it an advantage, it’s blown away by the IP67 water-resistance on the U11 Life. The U11 Life isn’t the only phone to offer this sort of resistance — the Moto X4 offers even better waterproofing at a similar price — but it’s still not expected on a phone in this price range, and the inclusion is a big win. The water-resistance seals another close race between these two phones. The HTC U11 Life wins this round. New smartphone cameras have been steadily increasing in quality, and as the tech continues to improve, innovations from flagships are being passed down the line to more affordable phones. So while neither of these phones is going to be challenging the Huawei Mate 10 Pro, the Note 8, or the iPhone X, there are still some pretty capable shooters on the the HTC U11 Life and the Xperia XA2. Check around the back of both and you’ll see that the manufacturers eschewed the 2017 trend for dual-lenses. The HTC U11 Life has a single 16-megapixel lens with an f/2.0 aperture that takes decent-enough photos within its price range. However, it’s probably the weakest overall part of this phone, since a lack of optical image stabilization (OIS) means you have to stay extremely still to prevent blurred photos — an issue exacerbated by the slow shutter speed. The photos that we took were good, but only when they weren’t ruined by blurring. The Xperia XA2 is rocking a single 23-megapixel monster with an f/2.0 aperture. We haven’t had a lot of time to play with it yet, and the XA2 is likely to have similar blurring issues due to the lack of OIS, but during our initial tests, we didn’t notice any shutter lag, which is a good sign. Sony’s phone cameras are generally pretty good, and the incredible 12,800 ISO that the XA2’s camera is capable of should result in decent shots in low-light situations, which is another area where the U11 Life lacks. Around the front of the U11, Life you’ll find a lens with the same specs as the rear camera, which is not something we see often. The 16-megapixel camera takes good-enough selfies, but like the rear lens, it suffers from blurriness and photos looked grainy in anything but direct sunlight when we tested it. The XA2, on the other hand, has a far more modest 8-megapixel lens around the front, but it has a much more impressive 120-degree lens, so you can fit in larger group selfies, or simply get more of the background in your shots. We haven’t had a chance to really test the XA2 yet, but the signs are good, and the 120-degree front-facing camera is a handy addition. The XA2 takes it. The HTC U11 Life comes with a 2,600mAh battery that should last you the day if you’re a light or medium user. If you find yourself using your smartphone a lot, you use it for streaming video or audio, or you’re an avid gamer, then you might want to think about packing a power bank or an extra charger. During our tests, the U11 Life made it to about 5.30 p.m. with 17 percent charge left after a day of heavy use, but expect that to drop as the battery ages — best to get into good habits now. When it came time to charge, it went from 15 percent to 50 percent in around 35 minutes. Not bad, but not the fastest charging available. Again, we haven’t had a chance to fully test the XA2’s battery yet, but it’s a monster compared to the relatively modest battery on the U11 Life. A 3,300mAh battery should see you through the day, even with heavy usage, and the inclusion of Quick Charge 3.0 should mean you won’t be tethered to a cable for long when you do have to recharge. In addition, Sony has included a ton of battery-saving tech that should help your phone to stay healthy and hold its charge for even longer. Battery life is often a pure numbers game, and that’s the case here. While we reserve final judgment until after we’ve completed our tests, we think the XA2’s battery is likely to be superior. We hope you like A.I. assistants, because the HTC U11 Life has three of them to choose from. You get Google Assistant, Amazon’s Alexa, and HTC’s own Sense Companion. Edge Sense is also here, fresh from its debut on the HTC U11. You can tie a variety of functions to your squeezable edges; it starts with Google Assistant bound to it, but you can open the camera, Amazon Alexa, or pretty much any other app you fancy. One note: Google Assistant can be triggered with a wake word, but Alexa cannot, due to limitations with the Snapdragon 630. So if you’re an Alexa fan, get used to opening the app manually. Still, Edge Sense helps to alleviate some of those issues. Other than that, Android 8.0 Oreo on the U11 Life is pretty standard — HTC’s Sense UI isn’t as bad as some of the larger manufacturer skins out there, and it not too bad with bloatware. It was generally a fun experience. If you have gone for the international model of the U11 Life with Android One, then you’ll find a stock Android experience, with just Google’s apps and Edge Sense installed on top of the usual Android suite. The Xperia XA2 also comes with Android 8.0 Oreo pre-installed, and it’s close to stock Android, except for a few additional preinstalled apps from Sony. It was fine to use in the short time we had our hands on it, but we’ll have to reserve final judgment until we’ve given it a good test. There’s not much to go on here from the XA2’s perspective, and it’s pretty much even with the Android One version of the U11 Life — except for the security updates straight from Google. The addition of Edge Sense and three assistants on the U11 Life make the HTC phone the winner here. It’s just got more toys. The HTC U11 Life is currently available from Amazon, T-Mobile, and HTC for $350, and HTC says the U11 Life will work on AT&T if purchased unlocked. Network support for the XA2 is currently unknown, but it’s likely that, like the previous Sony Xperia smartphones, it’ll work on T-Mobile and AT&T, but not on Verizon or Sprint. At this time, it’s not clear if anyone is going to be offering the Xperia XA2, so if you’re interested in buying one, it’ll probably have to be unlocked through Amazon, Best Buy, or Sony itself. In terms of price, we still don’t know how much the XA2 will be offered at. We’re hoping it will be around the $350 mark — maybe even $300. If that’s the case, then it definitely beats the HTC phone. If not, then the opposite applies. There are too many variables here for us to judge. This final round is a tie. Whew, this was a bumpy ride. The Sony Xperia XA2 and HTC U11 Life are two very well-matched devices, with the same Snapdragon 630 powering them, the same internal numbers for RAM and storage, and even the same-sized display and resolution. But aside from all that, these are two very clearly different phones, and anyone looking for a device in this price range will probably be happy with either one. However, there can be only one winner, and for our money, the Xperia XA2 edges the U11 Life with a superior camera, larger battery, and slightly better specs — the headphone jack strikes again! Still, the HTC U11 Life has a lot to offer, with good looks inherited from its older brother, a plethora of software additions like Edge Sense, and IP67 water-resistance. If that’s what you like in a phone, then HTC has your back. If not, then it’s the Xperia XA2.